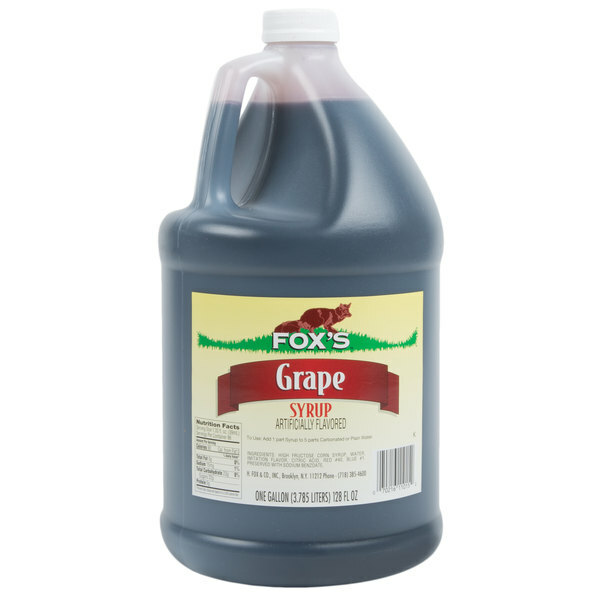 Satisfy your customers' thirst with the cool, refreshing flavor of Fox's grape concentrate. Far from the average beverage mix, this concentrate features an exceptional ripe from-the-vine flavor. Why bother with messy powdered drink mixes that don't always dissolve properly? This concentrate is easy to use and requires virtually no clean up. A corporation specializing in irresistible ice cream toppings, sweet syrups, and fizzy soda mixes for over 100 years, H. Fox & Company takes great pride in their products. 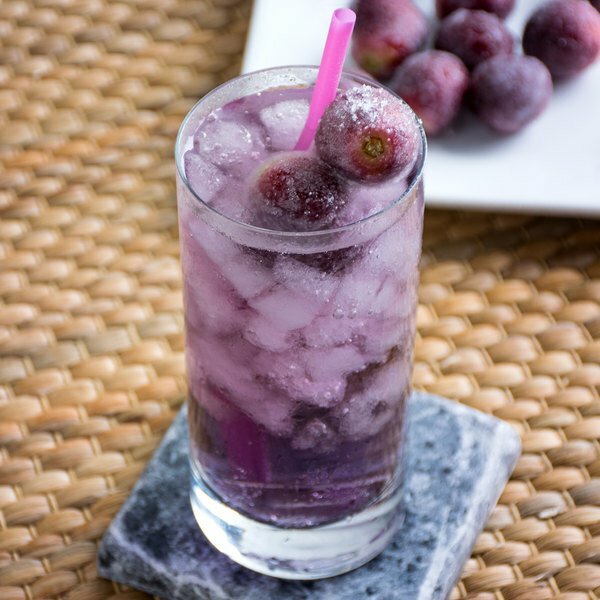 Grape beverages are an excellent refreshment to help quench your patrons thirst in the heat. Featuring a classic flavor and a visually appealing, playful purple color, this concentrate is sure to make customers come running, especially children! Your business will be in good supply of this popular summertime beverage with about 96 (8 oz.) servings of concentrate per 1 gallon container. Great for a wide variety of applications, this grape concentrate is the perfect addition to any concession stand, convenience store, party, catered event, and more! This grape concentrate is generally mixed 1 part concentrate to 5 parts of plain water. You'll be able to quickly and efficiently serve your customers the sweet refreshments they desire. Featuring a screw-on cap, this concentrate container can be resealed for convenient storing. Compatible pump dispensers (sold separately) can also be assembled to the top of the concentrate's 1 gallon container for easy dispensing. Grape Drank just like from when I was a kid. The taste brings back childhood memories. I like to freeze this in popsicle molds. So good! Great flavor. Smooth taste. Mixes evenly and easily since its a syrup not a powder. Everyone enjoys this grape one. Its been a big hit between the kids and the adults. I bought this to use for my home because my kids love grape. I mixed it with water and not carbonated water (you can use either). It was very tasty. I made 1 1/2 quarts and it was gone with in just a few hours. I highly recommend for business or home use. Very easy to make and not at all time consuming to make either. This is one of our favorite products just mix with water and is already sweetened saves a lot of money with sweetner costs just add ice and cold water. This a delicious thirst quencher. I used carbonated water and it tasted better than any bottled soda I have ever tasted!! The only problem is I did not order enough. This item is truly a great buy. Not only does it taste amazing it works great with the sodastream as well. Will buy again no doubt! Once again, Fox's makes a great concentrated product here. The grape flavor really comes through. Watch out though, it will stain your clothes very purple! Great drink mix concentrate! Tastes better than powder mixes! Great price! Makes a lot of grape drink with 1 gallon of concentrate! Quick and easy to make!! !